New York- As I was reading the news on Saturday morning, I came across an article published by a Moroccan analyst. Mr. Manar Slimi, author of the article, put forth many arguments regarding the question of the "Western Sahara" and relations between Morocco and Algeria. While I have much respect towards Mr. Slimi at the personal level and I often agree with his analyses, this time around I don't agree with his arguments. New York- As I was reading the news on Saturday morning, I came across an article published by a Moroccan analyst. 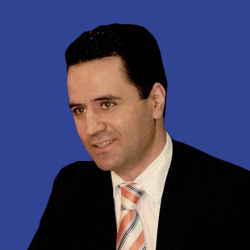 Mr. Manar Slimi, author of the article, put forth many arguments regarding the question of the “Western Sahara” and relations between Morocco and Algeria. While I have much respect towards Mr. Slimi at the personal level and I often agree with his analyses, this time around I don’t agree with his arguments. Among the questions raised by Mr. Slimi was an issue that is of critical importance. He said that the Algerians intend to annex the Western Sahara, which remains under dispute between Morocco and the Polisario, and to declare a war on Morocco. He also argued that the advance copy of the report of the United Nations Secretary General on the Sahara was more emotional than based on facts, adding that he is deviating from the core mission of the United Nations, which is finding a political solution to the conflict based, according to him, on the Autonomy Plan presented by Morocco to the Security Council in April 2007. In addition, and without providing any evidence he claimed that Algeria spent $300 billion to support the Polisario. There are many reasons why I think a direct war won’t break out between Morocco and Algeria. Firstly, for international geostrategic and security reasons, none of the Western powers would venture to let such a war take a place. In this regard, one has to take into account the strategic importance of the Mediterranean and the Straight of Gibraltar not only for Europe, but also for the rest of the world. The Strait of Gibraltar is one of the most important international maritime routes for the transportation of global goods, such as oil, gas and others items. It ranks second in the world after the Strait of Malacca, in Singapore, in terms of the density of maritime traffic, with more than 100,000 vessels a year. One can simply imagine the adverse effects on the global economy of such a war over a matter of limited national and regional scope. In addition to this, one has also to take into account the interests of European powers in both Morocco and Algeria. The Europeans, which are dependent on Algerian oil, would not let such war break out between the two countries. Such a scenario would mean a disruption of the supply of gas, which would have serious consequences on the European economy, in addition to the losses that a war would cause to the European companies established in both counties. Moreover, a war between Morocco and Algeria would also exacerbate the issue of Sub-Saharan illegal immigration, and we may witness an avalanche of clandestine embarkations arriving in Europe. On the other hand, the era when conflicts were resolved through direct armed fighting between states is a bygone era. Now we are in the era of proxy wars. Even if we admit that Algerians are ready to declare war on Morocco (which would mean the destruction of the two countries), they would most likely opt for a proxy war. In this regard, one has to admit that Algeria has been already in a proxy war against Morocco for the past 40 years. 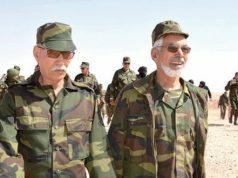 The only difference that we would witness if Algerians sought an escalation of the conflict is that they would give the green light to the Polisario to resume their guerrilla war against Morocco. 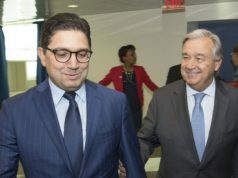 Even this prospect is unlikely, because it would mean that the Polisario would need to disregard the terms of reference of the ceasefire signed between the two countries more than 20 years ago and would put itself at odds with the relevant resolutions of the United Nations, which call for the achievement of a political and mutually acceptable solution based on the spirit of compromise. The second argument Slimi puts forth, which I don’t agree with for objective reasons, is that the Secretary-General of the United Nations deviates from his core mandate of helping Morocco and the Polisario to reach a political solution to the conflict based on the Moroccan autonomy plan. 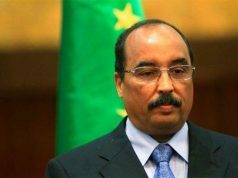 While it is true that since 2007 the Security Council has been calling on the parties to negotiate the terms of a political and mutually acceptable solution, it has never said that the Moroccan autonomy plan forms the basis for such a political solution to the “Western Sahara” conflict. This statement by Slimi is a far cry from reality. If this were the case, we would see progress in the negotiations process between the two parties and the Polisario would be obliged to abide by a solution based on this proposal. 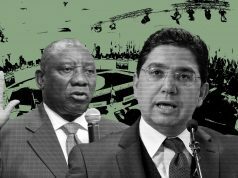 A researcher or analyst has the moral responsibility to present the readers with the correct facts and make sure not to mislead them, especially when it comes to questions of such strategic importance for the country. Another argument that I don’t agree with is when the author mentions the cases of Liberia and South Sudan as unstable countries to advance the argument that the UN should not establish a human rights mechanism in the Sahara, because Morocco is a stable country as opposed to those countries. These two missions (The United Nations Mission in Liberia and the United Nations Mission in the Republic of South Sudan) are among UN mission that do not include a human rights monitoring mechanism. Rather than using the argument of stability versus instability, one should use the argument of the absence of such a mechanism in Liberia and South Sudan to counter the argument of those who claim that the MINURSO is the only UN mission that is not provided with such a human rights mechanism. The other argument that I disagree with is when the author said that the Polisario is preparing to annex the Sahara to Algeria. I don’t know on what basis one can arrive to such a conclusion, and for objective reasons, such a scenario is highly unlikely. In the event Algerians ventured to annex the Sahara, that would not only constitute a casus belli with Morocco, but also push the Security Council to be seized of the matter. The action of Algeria would threaten the territorial integrity of a UN member state, constituting a violation of the UN Charter. In this scenario, Algeria would be exposed to sanctions under chapter VII of the United Nations. I believe that these kinds of arguments won’t advance the position of Morocco at the international level nor help it convince the international public opinion of the righteousness of its position. These sort of arguments are meant simply to quench the thirst of a certain category of readers who want only to hear that everything is going well for Morocco and the situation with regards to the “Western Sahara” is favorable to its interests. What Moroccans need to know once and for all, is that there is sizable proportion of the international public that is hostile to Morocco’s position regarding the “Western Sahara.” Most people who favor the Polisario don’t do it because they necessarily are convinced of the Polisario’s legitimacy, but because Moroccans have not been doing their job at the grassroots level to garner support for their country’s position. 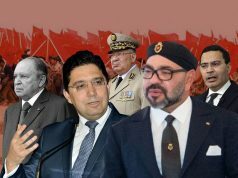 What Morocco is in dire need of are strategies that would counter the narrative of the Polisario, win back the support of international public opinion, and switch the debate over the conflict from the politicized question of human rights to the necessity of putting an end to the conflict based on the spirit of give-and-take. 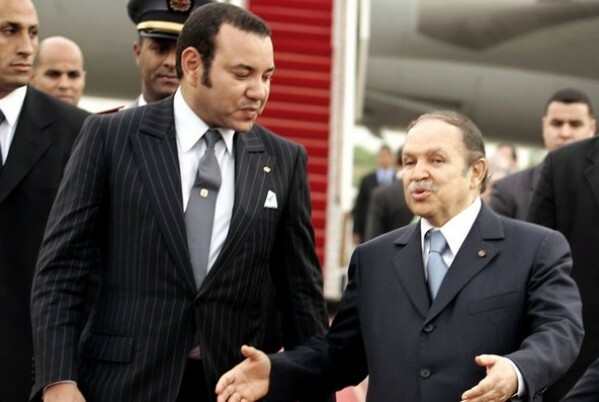 In order to be able to come up with the right recipe to achieve progress towards solving the conflict on the basis of the Moroccan autonomy proposal, Moroccan officials have to take the bull by the horns and admit that so far the strategies they have adopted have not succeeded in convincing the international community of the seriousness of its proposal. One should not be lured by Morocco’s success in avoiding the inclusion of human rights in the mandate of the MINURSO, for this question will be used over and over again by the Polisario and Algeria in the coming months. Once Moroccan officials admit that they need to reconsider their strategy, they would be able to identify what has gone wrong and put in place the needed measures to fix it. On the other hand, we can’t keep placing the blame on others. The Secretary General is not to blame for his report. His job is to report to the Security Council on the situation on the ground from the perspective of the UN team in charge of drafting the report. Furthermore, the UN perspective is also influenced by the perspective of the most influential human rights organizations, such as Human Rights Watch and Amnesty International, which give a dark picture of the situation of human rights in the Western Sahara and Morocco in general. As Mr. Hassan Massiki, a former spokesman for Amnesty International in the USA, puts it in one of his articles: “Moroccan diplomats’ inability to reach-out to NGO’s interested in human rights in the Western Sahara remains a weakness. Moroccan embassies’ lack of officers familiar with human rights organizations, international humanitarian law and local civic bodies is hurting Rabat efforts to explain the ‘Local Autonomy Plan for the Sahara’”. Putting the right people in the right positions and devising a winning strategy that would tilt the equation in favor of Morocco would do more good to Morocco than any unfounded prophecy destined for domestic use. In this regard, the appointment of Ambassador Omar Hilal as Permanent Representative to the United Nations in New York is a move in the right direction.